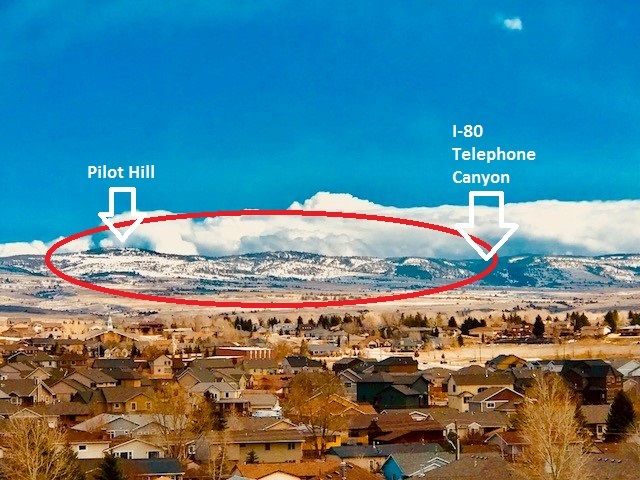 In Fall 2017, the Albany County Commissioners agreed to pursue the purchase of about 5,500 acres east of Laramie for public access. The map above shows the exact boundaries of the property, the image outlines the bulk of the land in red. 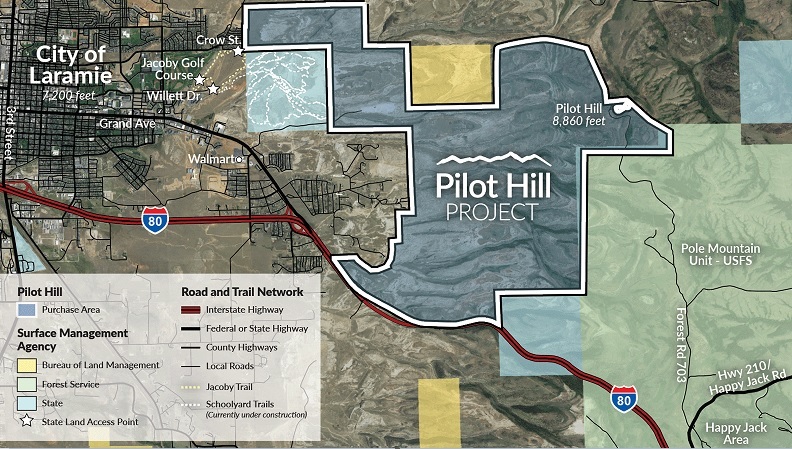 The objective of the Pilot Hill Project is to provide new public access to this undeveloped open space while simultaneously protecting the Casper Aquifer drinking water resource, enhancing recreational opportunities for residents and visitors, and promoting economic development by providing a world-class natural amenity to attract and retain businesses and their employees. Over 40 volunteers are working to raise the $10.5 million dollar purchase price, as well as funds necessary to create a management endowment. By completing this survey, you are helping them gain the information necessary to successfully fulfill their mission. The survey will likely take 10 minutes to complete. You will only be able to answer the survey once.